Razer's open source virtual reality (OSVR) project has just had a big overhaul at E3 2015. The platform, which aims to provide a standard across VR hardware and software, has made some major additions, starting with support for Android. This takes OSVR into mobile VR game development and signals that Razer's initiative isn't all about PC gaming. 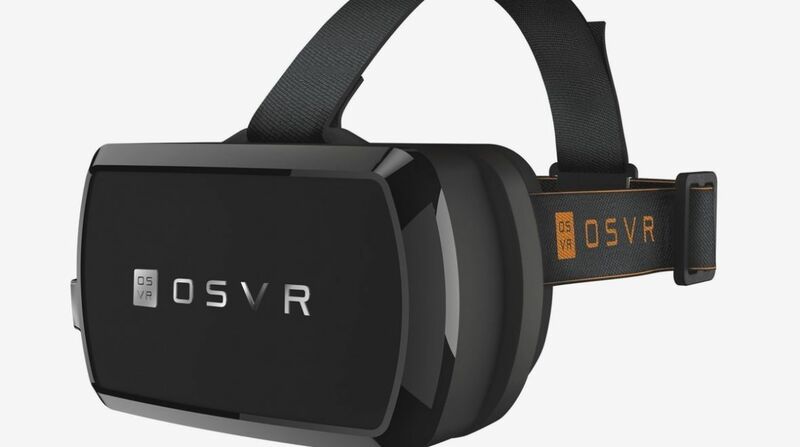 The OSVR dev kit does come with its own 5.5-inch Full HD OLED display but in the future, we will also get the ability to slot in a smartphone via a mobile faceplate. OSVR also announced that its Hardware Dev Kit v1.2 is shipping to developers now and they can get a 360 degree IR positioning upgrade in July for an extra $129.99. We've already seen a number of VR companies exploring position tracking, including Valve, so it makes sense to include an IR camera in the module available to app and game developers. There's more. Future accessories for OSVR include a Leap Motion faceplate for "natural interaction" with the software, i.e. wireless hand tracking. And OSVR also gave a shout out to Wearality, one of its 22 new partners, for its Ultra Wide Field of View eyepieces which will be available as experimental hardware. We didn't see any fresh big names in the list of OSVR's new partners. But with a total now of 144, it's a strong showing even if the likes of Oculus don't want to sign up and potentially halt progress with the Rift. You can check out the full list on OSVR's blog.